I've been thinking about how to do VTT this week. March has been a pretty busy month in our household. On top of that, we were away last week. Very far away ;-) So the Vintage Things I want to share with you are about our time away. It is amazing to me that some of these building were built in the 1400's. I believe this building on the right is a newer one. Built in the 1600's. Thanks for coming along with me on my little Vintage tour. 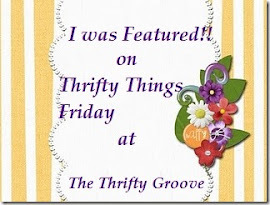 Please be sure to stop by ColoradoLady's blog and visit the other Vintage Thingies. It's almost Easter. Such a lovely time of year. The smell of fresh flowers blooming and the sweet refreshing rains that cleanse the earth. What a lovely time of year to have a tea party. Won't you join me as we share a cup of tea together? A few fresh roses to brighten the table. Thank you for joining me today. Please be sure to stop by Rhondi's blog, Rose Colored Glasses, and Lady Katherine's Tea Parlor to share in the other tea parties. I am always fascinated with old houses. They hold so much character and mystery. On our recent road trip, we came across another interesting old house. A picture inside one of the dining rooms. The molding around the windows makes me think this house is pre-Civil War. This Grand Lady has been around for quite a long time. Last week we made a little road trip. Went to a Quilt show and then found our way into a couple of little towns. The little quilt shop we found. We asked in one of the shops, and were told that the house had been empty for years, but a family bought it and have been renovating it. It truly was a beautiful home. With all of the Irish blessings going around this week, I was a little tickled at this Florida blessings I saw recently. What a day it has been. Lots of green going on. Today, however, I am not sharing green. I found these very cute hugging bears on a road trip this past weekend. Aren't they adorable? I had never seen these little salt and pepper shakers before. But on my way out of the Antique mall, I came across a booth with dozens of them. All different ones. Even a little Eskimo hugging a bear. Not all of them had markings on them, but mine did. It was not a thrift store find, but the little hugging bears were less then what is listed in the book. And I think they are just too adorable. Please be sure to stop by and visit Coloradolady's Vintage Thingies Thursday and visit all the other great vintage finds. Because Spring is in the air, let's have a Spring Tea Party. May I serve you some Italian Wedding soup? Thank you so much for joining me today for my Spring Tea Party. Please stop over at Rhondi's blog and Kathleen's blog and enjoy the other tea parties who are participating in Tea on Tuesday. Today I am joining ColoradoLady for Vintage Thingie Thursday. 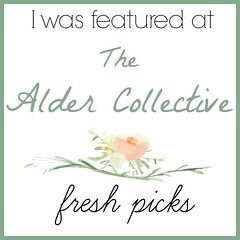 Please be sure to visit her blog and find all the other great and interesting vintage posts. As I have been finding more publications that my mother had saved, I came across these from the newspaper. The first Lunar flight dated July 21, 1969. What an exciting time that was. The first man on the moon! Today with all the space travel and people living in the Space Station, it hardly seems news worthy anymore. But back in 1969, it was BIG news. Thanks for stopping by. It is always a pleasure to have you come and visit. Have a great week! A few days ago I was visiting my mother in love when I spotted something that I had not noticed before. In her china cabinet was a collection of vintage dishes. This very delicate china were all gathered together and looked so inviting. So just like a little girl would do, I had a pretend Tea Party. Just imagine that you are sitting down with me to enjoy a scone and a spot of tea. Please have a seat and let's enjoy some talk and fellowship together. Thanks so much for stopping by. I've so enjoyed having tea with you today. Have a tealightful rest of the day. Please stop by Rhondi's blog and visit the other Tea Parties today. I have also linked up with Lady Katherine's Tea Time Tuesday. I am filled today. This morning I opened the window in my family room and let the rays of sunshine flood in. It's not really very warm, but I just had to breathe in the smells of Spring. And then, as I was sitting here reading some of your delightful blogs, I heard it. The sweet melody of renewal. Is it me? Or have you noticed more and more shoppers at thrift stores lately? I don't know if it is the economy, or the weather, but the thrift stores that I normally go to have been filled with people. FILLED. Like you can't find a parking space in the parking lot. Thrift stores have become BIG business. It used to be I could go to any thrift store in town during the week and there were very few people there. Now it is like the Blue Light Special on any given day. About six months ago, my sister in love and I were at an Antique Mall. We found these very cute little dishes. There were several of them, and if I remember right, priced around $6 or $7 a piece. I really liked them, but was not willing to drop that much on these "little" dishes. Add to the fact that one of them had a hairline crack...........so I let them pass. They were bundled and taped together for $2.00! I'm always on the look out in the book section too. At our Hospice Thrift store I've come across a couple of books that I've been searching for. Adding Ruby McKim's "101 Patchwork Patterns" was a very nice addition to my quilting books collection. WOW, what a wonderful book by Dianne Zweig. I have not been able to put it down. Just looking at all of the pictures and the little wonderful stories behind the collectibles from the 30's, 40's, and 50's! Here are those little refrigerator dishes that I recently found at the Goodwill! I LOVE this book. Thank you so much Becky. If you have never been to Becky's blog, you must go by and pay her a visit. She has a heart as big as the whole outdoors and the most charming blog. Have a wonderful weekend, and Happy Thriftin'! Today is Vintage Thingies Thursday. I love to visit all the other blogs and see what great thingies are out there. So much fun. Be sure to stop by Colorado Lady's blog and check them all out. One of my favorite things to do is check out the thrift stores. Some days there are treasures to be found, and other times the pickings are slim. On a recent visit to the Goodwill, I always head for the housewares aisle first thing. I like to see if there are any lovely dishes or teacups calling to come home with me. As I entered the aisle with the dishes, my eyes went immediately to these RED dishes! I don't often see RED dishes in ANY thrift store. I LOVED them at first sight. They went right into my buggy for closer examination. And to top it off, they are Syracuse China USA!!! I believe these are called Strawberry Hill. There were five dinner plates, three dessert plates and one small bowl. I searched and searched to see if there were any more, but this is all I could find. I even went back the next day, just in case there were more put out. But no more to be found. Now check out how lovely these plates look with the pink compotes that I bought several months ago at an antique shop. Even though I did not find any other pieces, my Buffalo china cups do a very nice job of rounding out the table scape. I am so delighted to be able to join Rhondi for her first Tea Party Tuesday. You must stop by her blog and visit the other lovely Tea Parties. I've always enjoyed having tea with friends. A beautiful table is so inviting. So I would like to invite you to join me for Tea today. May I get you a teacup? Strawberry Shortcake served in petite demitasse cups.